We probably don't know all the Pools in South Korea. Are you missing any? Contact us!. 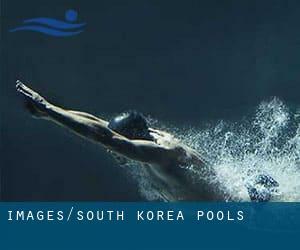 Regular users from the following South Korea Pools told us probably the most vital thing about swimming is to control your breathing. Sometimes this is not possible considering that we raise the neck to breathe and the body is not aligned. To avoid this, our head needs to be aligned with our spine all the time. Are you a common swimmer? Have you ever practiced Aquagym in South Korea? Let us know!. Not all countries are the exact same, and swimming rules and regulations are changing from one country to the other. So, if this can be your first time looking for South Korea Pools, be sure to contact the premises before you drop by. Swimia.com has essentially the most up-to-date database on the internet about almost any South Korea Swimming Pool. Classified by countries, regions and cities, it is straightforward to find the nearest pool at the places you visit. For South Korea, you are able to have a look at the pools we have gathered for you. Traveling to South Korea? This can be the perfect spot on the internet to discover places to swim in South Korea. Each day you are not swimming you're losing precious time in improving your skills to be a better swimmer! No more excuses! Find your nearest South Korea Swimming Pool and tell us how it went. Enjoy the best indoor pools in South Korea and don't worry about the weather. These facilities are open all seasons and you can enjoy a swim at the same temperature every day of the year. There are many alternative treatments to chlorination, with superb advantages that ensure far better water quality in the pool. 1 possibility will be the mineralizer, which purifies water naturally and substantially decreases the chemicals used and maintenance time. Try Chlorine Free pools in South Korea. There are several reasons why it is best to choose a heated swimming pool in South Korea. The most important a single relies on the importance of keeping the body temperature stable. If the water is too cold, your body will try to warm it up and you will lose strength to swim properly. One from the benefits of outdoor swimming in South Korea is the possibility to sunbathe during the summer season. Taking it with extra care, sunbathing is healthful since introduces Vitamin D into the body, so the most beneficial option seems to be switching between indoor and outdoor pools depending on the season. Holding an estimated population of 3.678.555, Busan is one of the most important cities in South Korea. Check all the Swimming Pool in Busan and its surrounding area. Without a shadow of a doubt, swimming in Incheon could be the perfect way to unwind after perform. Take a couple of minutes to browse Swimia's catalog to find a Pool in Incheon. Whereas Daegu is one of the six most populous cities in South Korea with almost 2.566.540 residents, you shouldn't miss that one if you're going to South Korea. Swimming is a excellent idea to keep your body active in the course of your visit to Seoul (South Korea), or even if you're a local. Swimia helps you to locate your closest Pool in Seoul. Updated on 2019 88, Pang-i-dong , Songpa-gu , Seoul , KOREA (Postal Code: 138-749). This great and large sports center lets professional swimmers like you enjoy Olympic size x 25 meters, 10 lanes, 2 meters depth, 2 meters depth, Indoors. Additionally, within these facilities you can try Olympic size x 12.5 meters, 5 lanes, 2 meters depth, 2 meters depth, Indoors. Unfortunately we do not have the email address of this Swimming Pool, but we can provide you with the phone number. Updated on 2019 Jamsil Olympic Main Stadium , Seoul Sports Complex , 10 Jamsil 1-dong , Songpa-gu , Seoul , KOREA (Postal Code: 138-749). Swimmers like you have reported Olympic size x 25 meters, Indoors. Also, you will find 25 meters, 5 meters depth diving pool, 5 meters depth diving pool, Indoors. Just in case you want to make contact with this Swimming Pool before dropping by, we only know the phone number. 1030-1 Doksan 4-Dong , Geumcheon-gu , Seoul , KOREA (Postal Code: 153-014). This sports center offers 20 meters x 10.3 meters, 5 lanes, Indoors. For this Swimming Pool, only phone number is number here. 86-3, Namjung-dong , Iksan , KOREA (Postal Code: 570-100). Swimmers like you reported 25 meters, 7 lanes, Indoors. Unfortunately we do not have the email address of this Swimming Pool, but we can give you the phone number. 354-5 Seogyo-Dong , Mapo-Gu , Seoul , KOREA (Postal Code: 121-210). This sports center gives 25 meters, Indoors. For this Swimming Pool, only phone number is number here. Updated on 2019 651-2 Woo-dong , Haeundae-gu , Pusan (Busan) , KOREA (Postal Code: 612-020). Few days ago a typical user of this center told us they offer Olympic size, 7 lanes, Indoors. Furthermore, they keep in good conditions 25 meters, Indoors. For this Pool, only phone number is number here. Updated on 2019 2850-1 Woonseo-Dong , Jung-Gu , Incheon , KOREA (Postal Code: 400-340). Among all the activities provided by the center, if you are interested in swimming you can expect to enjoy 25 meters, 3 lanes, Indoors. If you should get in touch with this Pool, email address and phone number are both number. 17-10, Gigok-ri, Deuksan-dong , Asan , KOREA (Postal Code: 336-910). Swimmers like you reported 25 meters x 12.5 meters, 5 lanes, Indoors. Unfortunately we do not have the e-mail address of this Swimming Pool, but we can give you the phone number. 40- 1, Chamshil-dong , Songpa-gu , Seoul , KOREA (Postal Code: 138-220). Swimmers like you reported 25 meters x 13 meters, Indoors. Unfortunately we do not have the email address of this Swimming Pool, but we can provide you with the phone number. 130, Yongsan-ri , Yongsan , KOREA (Postal Code: 232-950). This sports center offers 25 meters x 12.5 meters, Indoors. For this Pool, only phone number is number here. 1324-2, Seocho 2(i)-dong , Seocho-gu , Seoul , KOREA (Postal Code: 137-072). Among all the activities offered by the center, if you are considering swimming you will take pleasure in 25 meters x 13 meters, Indoors. Just in case you want to contact this Pool just before dropping by, we only know the phone number. 87 Sokong-dong , Chung-gu , Seoul , KOREA (Postal Code: 100-070). Among all of the activities supplied by the center, when you are interested in swimming you can expect to enjoy 25 meters x 7.5 meters, Indoors. Just in case you want to make contact with this Swimming Pool prior to dropping by, we only know the phone number. Sinsigaji 5 block 1, Mok 5(o)-dong , Yangcheon-gu , Seoul , KOREA (Postal Code: 158-055). This sports center offers 25 meters x 13 meters, Indoors. For this Swimming Pool, only phone number is number here. Updated on 2019 801 Bunji Bangwha 3 dong , Kangseo-gu Seoul, Korea , Seoul , KOREA (Postal Code: Unknown). Swimmers like you reported 25 meters, 7 lanes, Indoors. Unfortunately we do not have the email address of this Swimming Pool, but we can provide you with the phone number. 200-1 Hongeun- dong , Seodaemun-Ku , Seoul , KOREA (Postal Code: 120-710). Swimmers like you reported 25 meters, Non-Chlorine Sanitized, Indoors. Unfortunately we do not have the email address of this Swimming Pool, but we can give you the phone number.